Chicago's favorite florist! Ten award-winning family owned locations. Daily deliveries in the city and all suburbs. Specializing in weddings, special events, and sympathy expressions. Satisfaction guaranteed. Since 1923. Full Service Florist. Satisfaction Guaranteed. Family owned and operated for over 20 years. Specializing in unique and custom arrangements. We carry a full line of fruit, gourmet, junk, and spa gift baskets. Something for everyones taste and budget. Serving all hospitals and funeral homes. Delivering 7 days a week and all holidays. Full Service Florist. Satisfaction Guaranteed. 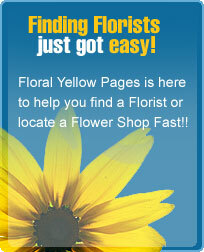 Family owned and operated with over 17 years of floral experience. Specializing in high style and unique custom arrangements. If you can imagine it, we can create, design, and deliver with a smile. Something for everyones taste and budget. Serving all hospitals and funeral homes. Full Service Florist. Satisfaction Guaranteed. Family owned and operated with over 12 years of floral experience. Specializing in unique and custom designs. Flowers for all occasions and budgets. Our goal is to exceed our customers expectations with quality, care, and professional service. Serving all hospitals and funeral homes.